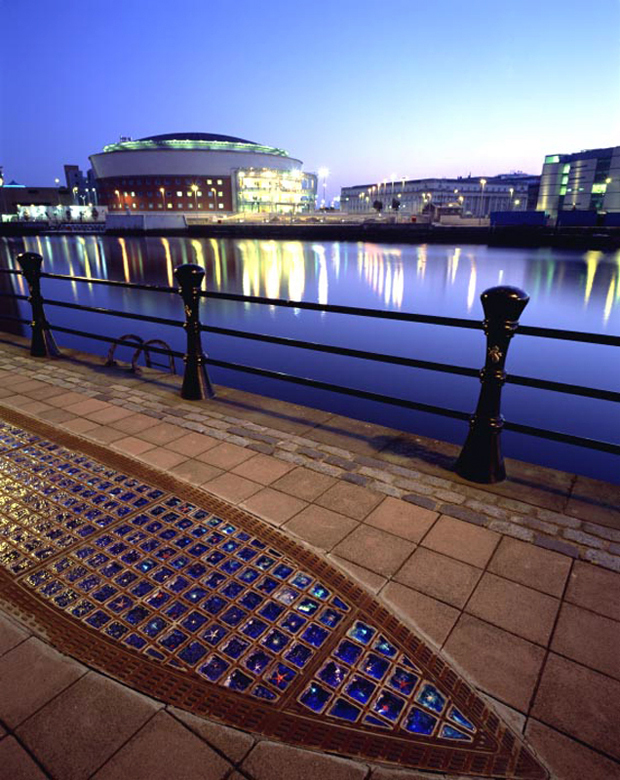 Materials: Cast ductile iron, cast glass, fibre optic lighting. Location: Gregg’s Quay, alongside River Lagan, Belfast. Description: This ship plan is made of translucent glass blue cobbles set into a cast iron frame. The cobbles have starfish embedded to suggest sea and sky and are lit from underneath. Client: Laganside Corporation, commissioned by Art Working Ltd.